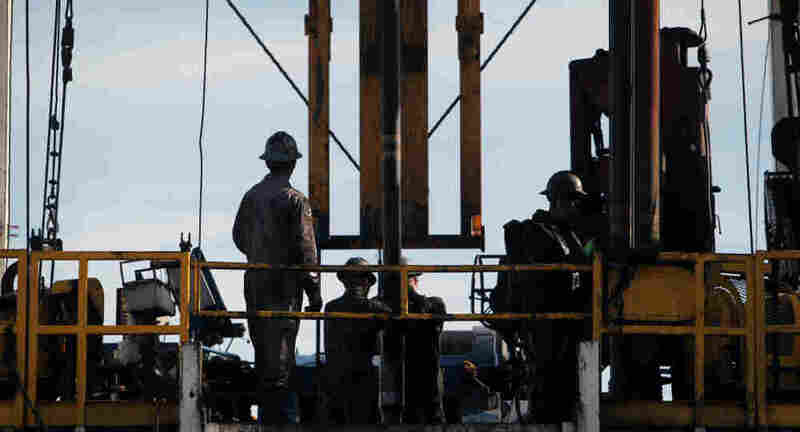 Jobs Abound In Energy Industry's New Boom Time New drilling technologies and rising fuel prices have generated a boom in U.S. oil and gas drilling. It is also creating many high-paying jobs for young people. The average starting salary for petroleum engineering grads is nearly $79,000. Economists say many industries are looking up this year. But perhaps none has a better outlook than the energy sector. New drilling technologies and rising fuel prices have generated a boom in drilling — and lots of high-paying jobs for people with the skills to work in the oil patch. On some college campuses, companies are so eager to find petroleum engineers that they are offering jobs to students even before they have graduated. At the Colorado School of Mines in Golden, Chris Enger is among the seniors who are being sought out by employers. "I feel very lucky and very glad I chose engineering," he says, "and specifically petroleum engineering." Set to graduate with a bachelor's degree this May, Enger already has a job lined up with EOG Resources, a Texas-based oil and gas company. "I've got friends on other campuses who may not have jobs and are considering pursuing a graduate degree, which seems to be a lot of people's options when they can't find a job," he says. At the School of Mines, graduates in petroleum engineering don't have to run up debt in graduate school. Their average starting salary? Nearly $79,000. Students are flocking to the field — and to colleges like this one, which has a nearly perfect job-placement rate for graduating seniors. Professor Bill Eustes teaches a drilling class in which students learn how to design the piping in an oil and gas well to prevent explosions. A decade ago, there were only 21 students in his class. Today, there are about 160. "When the [oil] prices climb, we typically see the number of students build also," he says. "Why? Because the jobs are there." The need for young workers is especially intense now because many of the people who entered the oil business during the 1970s oil boom are retiring. At the same time, new drilling techniques are making it possible to get oil and gas from shale. That new supply is boosting demand for workers. "I feel very lucky," says Colorado School of Mines student Chris Enger, who has a job as a petroleum engineer waiting on him in Texas. "If you would have told me 10 years ago that a shale would have been a gas reserve, I would have gone, 'You're crazy.' But they found a way to do it," Eustes says. "So we've got the technology improving; we've got these new reserves opening up; we've got this crew change coming up — all of these things have conspired to require people." Jessica Lambdin is a recruiter for Encana Corp., which has traditionally been a natural-gas powerhouse. But because natural gas prices are down and oil prices are up, the company is now shifting its focus to recovering so-called unconventional oil. The reason, she says, is that "we're really innovative, and students have a really strong desire to bring that to a corporation. And that's really important currently, in today's economy." GRAPHIC: What's Behind These High Gas Prices? Encana is one of dozens of companies actively recruiting at the Colorado School of Mines and at similar schools from Texas to Montana. A recent career fair on the campus drew more than half the student body. 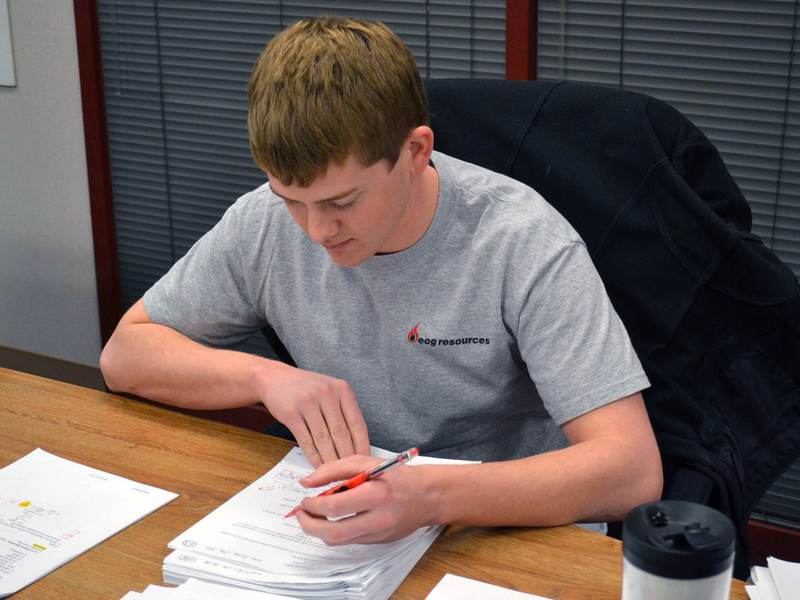 Companies came back the next day and conducted 1,000 interviews. Ali Amacki, a junior from Oman, says there's a buzz among his petroleum-engineering classmates. The new technology means the industry is no longer generating just traditional jobs involving oil derricks. "Easy oil is gone," Amacki says. "People have been producing easy oil for decades now. Now we are the hard oil generation."